It is the start of a new year, and we are beyond excited!! 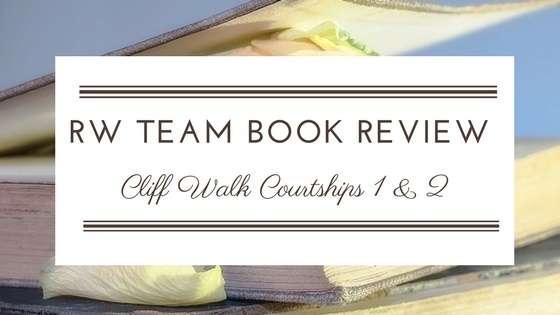 And, we're starting it off with a bang - a team book review collaboration!! 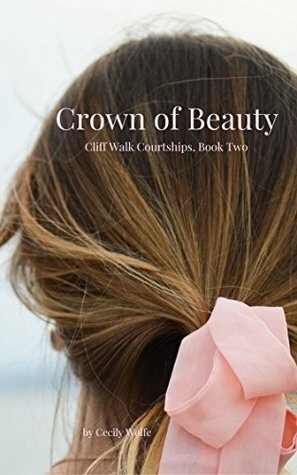 Last November, we were approached by Cecily Wolfe to review two of her books from the Cliff Walk Courtship series. Three of our RW writers took up these books to review: Catherine Hawthorn, Gray Marie Cox, and Clare A. A maid and a man of high society. Arthur Davenport has returned to Newport, RI after a life-changing trip abroad. He makes a friend in Josette Warren, who is a domestic in the Davenport house. Much to the disapproval of Arthur's socialite mother. Undaunted by social convention, Arthur seeks Josie out and an unusual courtship takes place as they make plans to found a shelter for the poor and unfortunate in Newport. But the disapproving Mrs. Davenport still hovers in the background. Will Josie be able to win her over? Abuse: ✩✩✩✩✩. No instances of abuse in the work. Lust: ✩✩✩✩✩. There were a few mild kisses as to be expected, but the romance was handled with a lot of caution to make sure that nothing impure was done. Review of the Book: ✩✩✩✩. I loved the heroine's proper name, Josette. Wolfe really captured the inner motives behind class struggle, and strikes at the personhood of servants, which is unusual for a historical work. Turning point for Arthur was very well done. I liked Dr. Colt and Josie's meeting, that was well written. Wolfe captured a mother's inner dilemma about what to do when a daughter is on the verge of entering a questionable match. There was a nice balance between caution and emotion. This was a light read, very similar to Grace Livingston Hill. It started off feeling like a contemporary novel, instead of a historical novel. Josie's hairstyle throughout the entire book is described as a ponytail. Which was unheard of in 1893. For someone who has been involved with living history from that time period, it was a little jarring to see that. Sense of timing was inconsistent, and the romance felt rushed. Other tenets of world-building could have used a little work. I think the "gossip" storyline didn't get resolved very well. The section breaks - especially between POV's - weren't differentiated very well. Two people from the same class. But are they really deserving of each other? Catherine Davenport, after her brother Arthur's marriage to their former maid Josie, is sick of her mother's plots and schemes to get her married off to a Vanderbilt. As a compromise, her father orders her to work at Arthur's shelter, First Steps. Under the influence of Arthur, Josie and a baker by the name of Grace, Catherine begins to blossom into a young woman. Then she meets Will - a young man who comes into First Steps looking like a drowned rat with no clue how he got there. As Will is rehabilitated, an attraction forms. But when the truth about Will finally comes out, will Catherine trust him again? Language: ✩✩✩✩✩. No language present. Abuse: ✩✩✩✩✩. Will is a recovering alcoholic, so alcohol use is mentioned, but it's handled well. Lust: ✩✩✩✩🟉 (4 1/2 stars). There is some desire mentioned, shown in a realistic way, but it is mastered over. I felt that this book was closer to the 1893 time that it was listed as than the first one. I really liked the overall plot of this work. Will's past life is shrouded in secrecy, and not many details are revealed. But enough was revealed to give that impression and not ruin the lightness of the work. I liked how Will tried his darndest to put his courtship on the "up and up" in spite of his past and current circumstances. Catherine's fault of day-dreaming was present in nearly every scene. Even coming from a chronic daydreamer as myself, I felt it was too much. Sarah acted more like a 15 year old than a 17 year old. Maybe that was the point, but it just didn't fit in my mind. Conversations, especially between Catherine and her mother, sometimes changed rather abruptly for my tastes. In some places, there was some info-dumping about characters. Annie was a very mysterious character, I had trouble with her reaction to some of the things that happened in the book. How did Will's mother know about a baking trick as a wealthy woman? Overall, I enjoyed reading both of these books, and I'm excited to read the third book about Sarah! I'm going to be very honest, these books weren't exactly my cup of tea. The genre and writing style weren't my most favorite, but I know many girls who would adore these series, and I will probably be recommending them to some of my friends. As Catherine said before, this is a very light and sweet read, but because of my non-existent love for fiction set in the 1800s, it failed to enthrall me. However, I still intend to review these two books without that bias in mind. The emotions felt real, that was refreshing. The romance was sweet, it was something you could honestly root for. The pacing was a little slow. The beginning didn't quite grab me. The characters were a little too perfect. It wasn't always Historically correct, as Catherine also pointed out. Lust: ✩✩✩✩✩ There is mild attraction, but to have characters not find each other somewhat attractive seems silly and unrealistic though, so no stars off. It felt more Historically accurate than the last one. Will was pretty awesome, not going to lie! Catherine is an airhead 24/7, it got a little tedious in some parts. It felt a it rushed in some places. Sarah acts like a little kid a lot, but she's seventeen, and it didn't seem to work for her character as a whole. A few plot holes and things that never made a lot of sense and were never really explained. Although I didn't love these books, they were really good. If you like contemporary and Historical fiction reads that are relatively lighthearted and clean, check out these books! Like Gray, these are not my types of books. But I was pleasantly surprised. I enjoyed reading them. Language: ✩✩✩✩✩, there was the reference to "the road to hell" but it was with biblical terms. "A pretty face doesn’t last, but a pretty action does." Lust: ✩✩✩✩🟉 (4 1/2 stars). Some of the characters are warned of it, and Mr. and Mrs. Davenport suggest things about Arthur, but it is all untrue and viewed as negitave. Review of the Book: ✩✩✩✩🟉 (4 1/2 stars). "I think if we meet someone we feel comfortable with, we should be able to be friends with them regardless of money, station, situation, whatever you choose to call it." “The opportunity to help. I like the way that sounds . . . not as if you felt required to do it, or pressured in any way, but as if you’ve been waiting." Dr. Colt. He is great. Josie's worry about others before herself. The part where Josie felt discouraged. I know this sounds weird, but I actually did like it! We all get down some days and I think she handled it beautifully. The romance was sweet, and I liked that it could range from a word to a smile, to a squeeze of the hand. The writing! Ms. Wolfe has a beautiful way of writing. (I hope you don't mind my popping my favorite bits in!) "And those gulls, I saw you watching them just now. Your face was like a mirror of their happiness"
Though I liked the writing, a few things were repeated a little too much. The romance moved a little too quickly. I mean, they just met. As Catherine said, I don't think the gossip was fully resolved. It could have been handled a bit bettter. Language: ✩✩✩✩🟉 (4 3/4 stars), there was some exclamations. Abuse: ✩✩✩✩✩, there was drinking, but it was shown as a bad thing and the character improved. Lust: ✩✩✩✩🟉 (4 1/2 stars), there was a little bit of it, and vague mention of a few things. Review of the Book: ✩✩✩✩, even through this I do think I like the storyline of this one, better than the first one. After finishing the first one I thought, "That was nice, but I would have liked to see more of Arthur's sisters." Then here they are! I definitely can't wait to read Treasure of Hope when it comes out next year! Will. Who doesn't like him? I like his character arc. While in the first one Arthur and Josie have amazing faith, this was so interesting to see it grow in Will and Catherine. Arthur's love and protection of Catherine. And how Sarah and Catherine comfort each other and Josie! I daydream a lot myself, but this seemed a little over done. And your mind thinks things so quickly that it doesn't seem likely that she/he would miss so much! That Dr. Colt wasn't in it that much! That we didn't hear much more of Joseph. These books were a delightful read! There you have it! 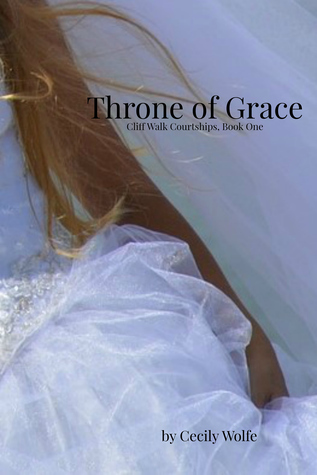 Three different thoughts of Cecily Wolfe's books, Throne of Grace and Crown of Beauty! 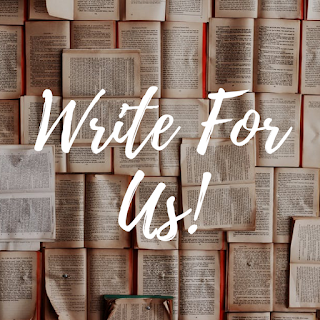 This year, we're planning on expanding our number of posts each month, bringing more reading suggestions, and continue to support clean YA writers towards publication. We thank all of our readers and contributors for your continued support of RW! 2018 is going to be an exciting year!! These sound interesting! They probably aren't my cup of tea either--I've never been huge into his-fic--but I love that I now have a clean his-fic series to recommend to my little sister in a couple of years. She's always loved books of that genre. 100% true! I'm kind of making a list of good books to recommend to my little sisters when they're slightly older. <3 We'll see how that goes. *gasps* How ever did you guess?! Here's to a successful 2018, team!! Hmm, I may have to look around for these. I mean, I should totally be thanking you guys for adding MORE books to my TBR pile, right? :D I don't mind historical fiction, but I find most romances annoying, so we'll see. How prominent was the romance, exactly? Great review, by the way - I loved the three different viewpoints! The romance was one of the main plots for sure, since it's contemporary. The romance is very prominent in both books - it's the main plotline for sure. Both romances were done well in my opinion - like I said, the historic world-building definitely could have used work though. I don't read much in the way of romance novels, tbh. But I'm glad there are clean ones out there for folks who do. Thanks for taking the time to read and review, y'all! !